Music is a very powerful thing, and for sure, most people know this already. For some reason, there is a hidden beauty that lies within music. In every lyric, melody, tune, and beat, the music breathes life into something when being played and listened to. As it appears, many people have a great inclination toward music. This is only fitting, and it makes total sense, since music affects people in so many ways. This is why music has been a great companion to many people, especially the ones who are suffering from depression, stress, and anxiety. Thanks to its therapeutic nature, music naturally makes things much better. In fact, it has been deemed as a major key to one’s happiness. If you would notice, most tracks and music today are quite popular not only because of the beat and tune but because of the lyrics and emotions of the music itself as well. This is because many people find comfort in these words and lyrics, due to the fact that it keeps them well secured. Somehow, music makes one feel very understood. Hence, it’s like someone knows what you truly feel inside. And normally, people who feel secure and understood are freer and happier. In relation to being understood, listening to music alleviates almost every pain, and this is not only proven psychologically. In fact, science was able to prove as well. Based on the results of the studies, it has been found that music has a great effect on the mind and hormones, which naturally decreases the feeling of being in pain. Music, in general, benefits the brain. As it happens, it strengthens the “brain wires” and blocks the neurons from being “burned.” Also, music is proven to improve brain functions naturally. This is why many parents send their kids to attend music lessons for the benefit of their respective thinking capacities, analysis, and problem-solving skills. When you listen to music, it actually increases the production of serotonin, oxytocin, and other hormones that largely affect your mood. As mentioned, many specialists and therapists recommend music therapies to people who are suffering from different psychological conditions. This is because music can largely improve one’s mood, sentiments, and emotions. As a result, it totally makes one feel much happier than the usual. In relation to the previous point, music has been found to reduce stress as well, and aside from the increased production of mood hormones, music has the ability to calm and relax one’s mind and body. Moreover, it also reduces the stress levels in the human mind and body. This is why many people resort to listening to music when they feel down and stressed. As everyone knows it, the lesser the stress, the happier the situation will be, and much more, if a person becomes further inclined to music. There is also a study that proves that music has great benefits on a person’s sleeping patterns, and this is, in some way and somehow, related to the stress reduction. 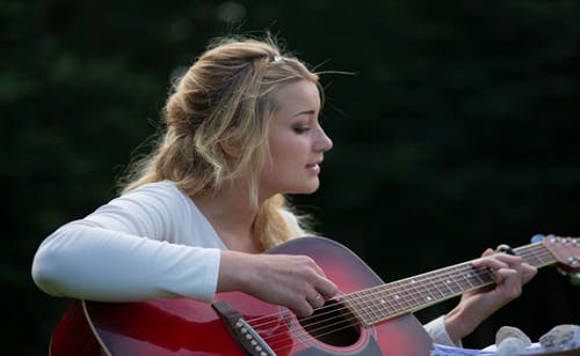 Communication skills and intelligence quotient are also some of the factors that music can improve. This is why, as early as possible, kids are subjected to different musical instruments to learn music and everything that surrounds it. Apparently, several studies and research suggest that music increase a child’s overall IQ. Since music is found to have amazing benefits to the brain, along with its functions, this only goes to show that music is really beneficial, especially when you start to study it seriously. Consequently, these variables have a great impact on one’s happiness. In fact, it has been found that people who possess higher IQ ratings have lesser tendencies of being down and depressed all the time. Socializing is one of the most important skills that any person must have. This is because happiness does not rely alone on one’s self. As it appears, being around with other people creates a sense of fulfillment and enjoyment, which naturally decreases the risk of being depressed, sad, and down. It has been suggested that music creates and improves a person’s socialization skills. 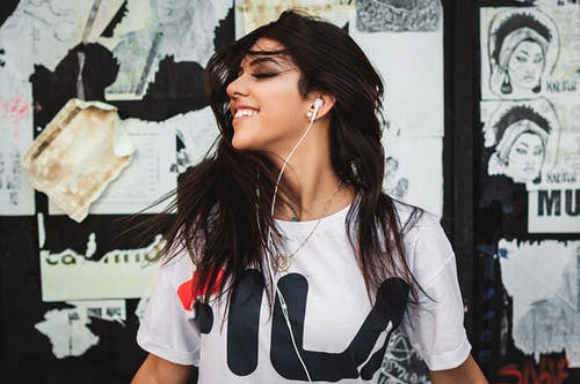 For some reason, people can connect with other individuals through the use of music, whether it may be from sharing their favorite genre and beat or from engaging to learn more about music. Either way, socialization is emphasized further through music. To be happy is one of the most common goals of every human being. It is already common knowledge that music makes people happy in their own ways. These points are basically the basis as to why music has become a major key to happiness. So, the next time you feel sad and down, remember these points and why you need music in your life, and much better, why you would need it all the time.